Some federal buildings are becoming more environmentally friendly and saving thousands of dollars of taxpayer money in the process. Others not so much. Fifteen federal buildings won commendation in the 2012 Energy Star National Building Competition for exceeding efficiency benchmarks. The competition -- administered by the Environmental Protection Agency -- consisted of 3,000 buildings across the country, including schools, businesses and government properties. Another 179 of the federal buildings in the competition reported negative energy efficiency ratings in 2012, meaning they used more resources for their daily operations than in the previous year, according to a Government Executive analysis of the Energy Star data. 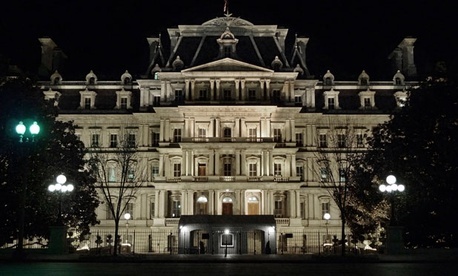 The Eisenhower Executive Office Building, for instance, which houses most White House offices, used 23.6 percent more energy in 2012 than it did in 2011, at an additional cost to taxpayers of $338,735. An EPA spokeswoman conceded the lost ground. “These buildings serve as good reminders that maintaining good energy performance doesn’t just happen automatically,” she said in an email. “Most of us are aware in our own lives of how the pounds can creep on when you’re not paying attention. The same goes for buildings." She noted an EPA study finding commercial buildings that tracked their usage over three years reduced their consumption by an average of 7 percent. Dan Cruz, a spokesman for the General Services Administration, attributed some of the additional energy consumption to renovations. “A variety of factors could have contributed to a building's increase in energy use, like construction projects and occupancy changes for example," he said. "As construction projects and renovations were completed in some of these facilities, energy use increased as tenants moved back in and the buildings returned to full occupancy. The renovation work itself can also contribute to greater energy use at the site for the duration of the project." The Eisenhower Executive Office Building has been under major construction for years. Among federally owned buildings lauded for their green efforts, the Martin Luther King Jr. Courthouse in Newark, N.J., and the San Antonio Federal Building reported the greatest reductions in energy use -- 36.8 percent and 34.4 percent savings, respectively. Twenty-four GSA-owned buildings became 20 percent more efficient, according to the Energy Star data. All buildings eligible for recognition in the competition had their data verified for the baseline and comparative periods (calendar years 2011 and 2012) by a licensed professional engineer or registered architect, EPA said. The federal 15 buildings that received commendations saved taxpayers a combined $961,470. Individually, the buildings saved between $1,305 for the U.S Border Station building in North Troy, Vt., and $371,720 for a GSA warehouse in Franconia, Va.